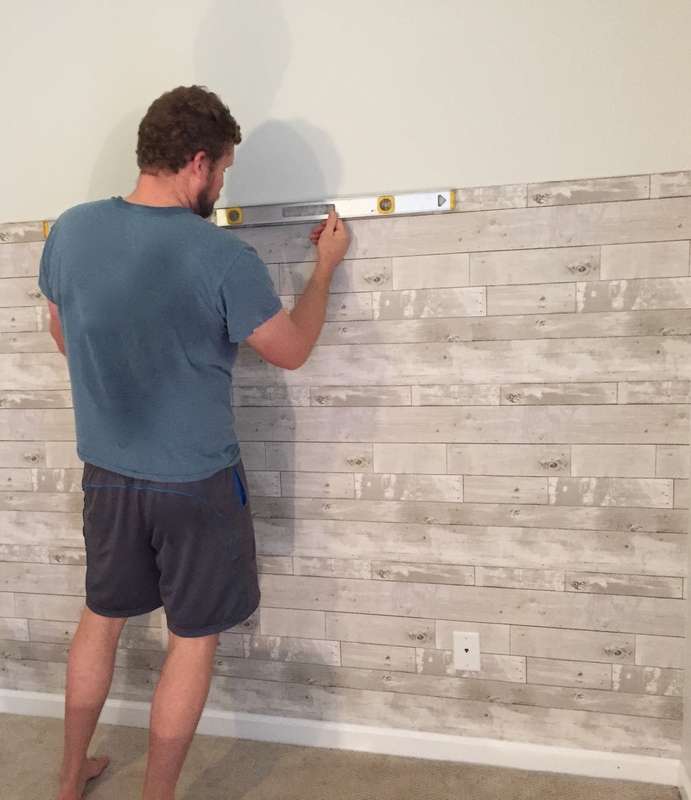 As HGTV’s Fixer Upper enters it’s final season, I thought it was only fitting that I finally do a blog post on how we did fake “shiplap” in our home. 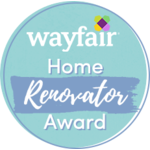 Ever since Fixer Upper became a hit TV show and the Shiplap Queen herself, Joanna Gaines, began adding it into almost every episode, shiplap has become the pumpkin spice latte of home renovations. Many older home and even barns used shiplap walls because the boards overlaped slightly and are flush to one another making them watertight. 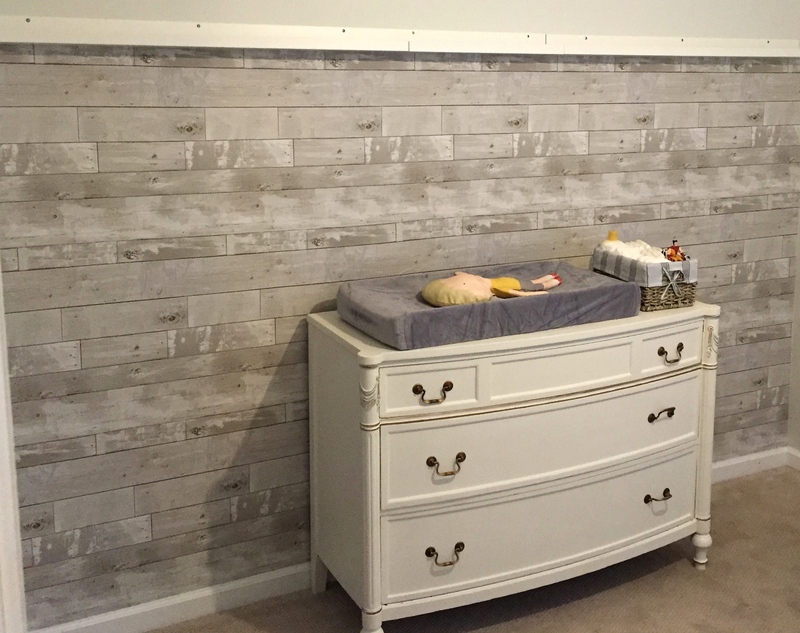 But now shiplap is used even more as a decorative accent to give the home a rustic look. I instantly became a shiplap groupie and if I had it my way I would incorporate it throughout the entire house. 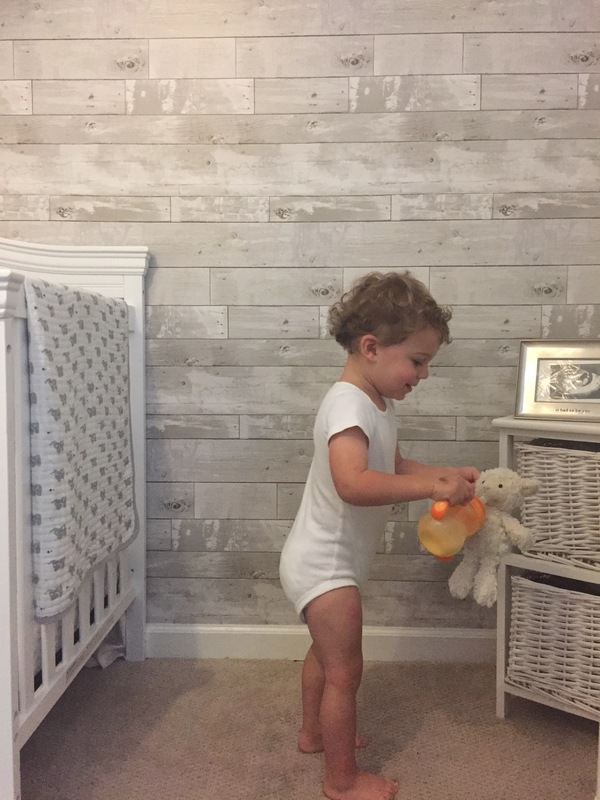 So when we started decorating Liam’ s nursery, I had lofty ideas to do an accent wall with white washed shiplap. But after the medical bills arrived from Liam’s IVF we realized we had a budget of oh, about negative $8000 for his nursery. So I found a much cheaper and fun way to get the same “shiplap” look. 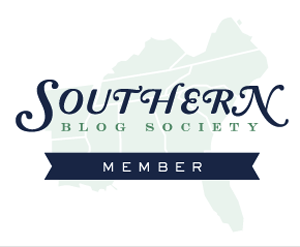 If you are wondering why I keep saying shiplap in quotation marks, then let me divulge a little secret. This is actually not shiplap. In fact, this is not even wood. We used….wait for it… wallpaper! When I was deciding on how to decorate the nursery, I went browsing online for the typical nursery wall decals. I couldn’t find anything that I liked but somehow stumbled upon vinyl wallpaper. I saw this one and knew that I couldn’t say no. Of course if you are standing a foot away, reach over and touch it, then you will know it is not real wood. But when you first enter the room and turn on the lights, it gives that same light, airy, rustic look that I wanted and for pennies compared to what we would of spent to actually add shiplap to the room. What we used: All four walls were first primed and then painted gray ( Benjamin Moore Paper White). We then bought one roll of Brewster Wallcovering Vinyl Wood Wallpaper. One $65 roll is 20 inches wide so this gave us enough for four rows, ending about 3/4 way up the wall. I didn’t want to spend more money for a second roll of wallpaper so we added a book ledge at the top where the wallpaper ends. These shelves (which I found here from Ikea) house some of Liam’s newborn photos as well as different books and stuffed animals that we trade out periodically to keep things new and interesting. How we did it: This wallpaper is prepasted and pretty easy to apply. I say easy, but out of the four strips we hung up, Will and I got into an argument on three out of the four. But it was a fun test of our cooperation and communication skills and by the last strip we finally found our rhythm. So, step one: Find a cooperative partner during the process. Probably not myself but if you are local and want me come help, I will stand in the corner and give me ten cents. Step two: Measure your wall and cut your first piece, give yourself an extra inch or so just to be on the safe side, you can always trim that off afterwards with an Exacto knife. Step three: Get your bin of water ready to go. The wallpaper is pre pasted so all you have to do is submerge the first piece into the water (it can be flat or rolled up when you are submerging into the water). This will get the paste wet and then you can apply to the wall very carefully. I saw that on Pinterest recently! I definitely want to try that for our next house!